Jupiter Securities Sdn Bhd (48703-W) is a Participating Organization of Bursa Malaysia Securities Berhad and holds a Dealer's License issued by the Securities Commission. In December 1993, Olympia Industries Berhad made a successful take-over of H.A. Securities Sdn Bhd and renamed it as Jupiter Securities Sdn Bhd. A team of professional managers was appointed to turn around the Company. The Company's activities are conducted through two main business divisions, namely Online Internet Broking, and Retail Clients Services. Our principal activities are dealing in Securities listed on Bursa Malaysia Securities Berhad (formerly known as the KLSE). 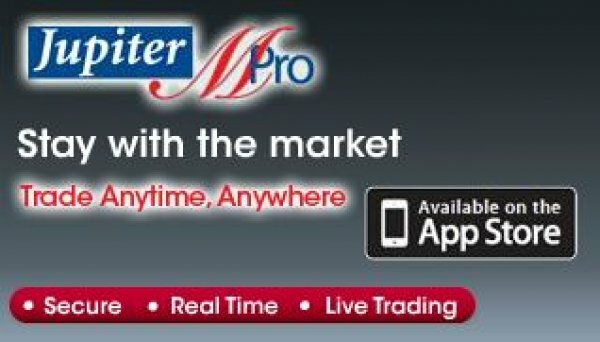 Online Trading Jupiter Online is an online trading service that allows clients access to real-time stock quotes of the Bursa Malaysia via the web-base. With Jupiter Online Internet Trading, we provide equity investment, equity research, portfolio management and timely market news to our clients at no additional cost and at greatly discounted brokerage charges. Trading Accounts allow clients to trade in securities listed on the Bursa Malaysia Securities Bhd. At Jupiter Securities, we offer attractive brokerage for intra-day trades, irrespective of contract value, subject to minimum brokerage as per Bursa Malaysia's rules, recommendation from the Dealer’s Representative/Remisier and approval by the Management. At Jupiter Securities, we hope to maximize your profit. If you would like to increase your purchasing power, you may convert your Conventional Share Trading Account to, or opt for, a Collateralised Share Trading Account by pledging cash/securities with us. Ask us to know more! Our foreign share trading service enables customers to diversify their investment portfolio in various foreign countries (currently available for Hong Kong, Singapore and US). Our Share Margin Financing facility via established banks enables clients to subscribe and purchase any new issue of securities in respect of Initial Public Offering (IPO) as well as to trade in securities listed on Bursa Malaysia Securities Berhad. Jupiter Securities offer local equity, Cash Upfront Account, Collateralized Trading Account, Remisier/Dealer Aided Trading Account, EPF Investment Trading Account, External Margin Financing Account, and Elite Traders Account. Jupiter Securities offer foreign equity, islamik equity and share margin financial.